Are you ready to ramp up the performance of your human hardware? Put Ken Wilber’s philosophies into action to enhance any facet of your life. Are you ready to ramp up the performance of your human hardware? If so, then welcome to Version 1.0 of Ken Wilber's The Integral Operating System. No, it's not computer software. It's a course that crystallizes Ken's lifelong investigation into the truths of Eastern and Western thought into a cutting-edge tool for sparking a revolution of your mind and spirit. 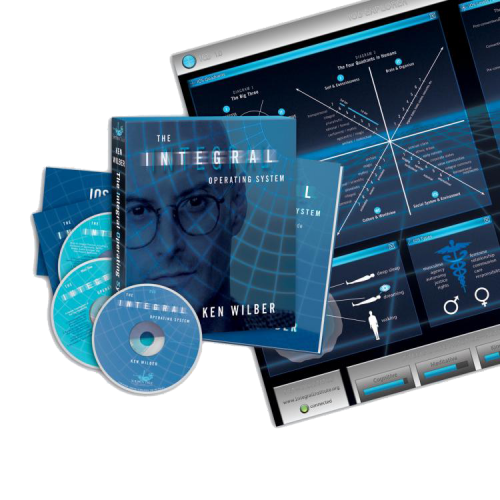 Ken Wilber has spent more than three decades creating an all-embracing vision that incorporates the best elements from all of humanity's spiritual and scientific traditions into a model that reveals even deeper levels of truth—the Integral Map. Now, this profoundly versatile tool has been formatted into a multimodal "platform for the soul," one that you can self-install to accelerate the growth of your spiritual evolution, intellect, relationships with others, and even your physical health. As one of the most influential figures of human spiritual development, Ken Wilber has been called the "Einstein of consciousness." Here is an unprecedented chance for you to "download" this remarkable thinker's teachings as he illuminates the intricacies of The Integral Operating System.